Worlwide airports have become indoor cities where passengers spend so many time before and after taking their flights. In modern airports can be found hotels, restaurants, luxury shops or leisure centres, but what makes passengers experience truly comfortable is reducing waiting times, enhancing conditions and also improving processes in the terminals. Internet of Things solutions are helping airports to solve some issues that are happening in a similar way in Smart Cities. 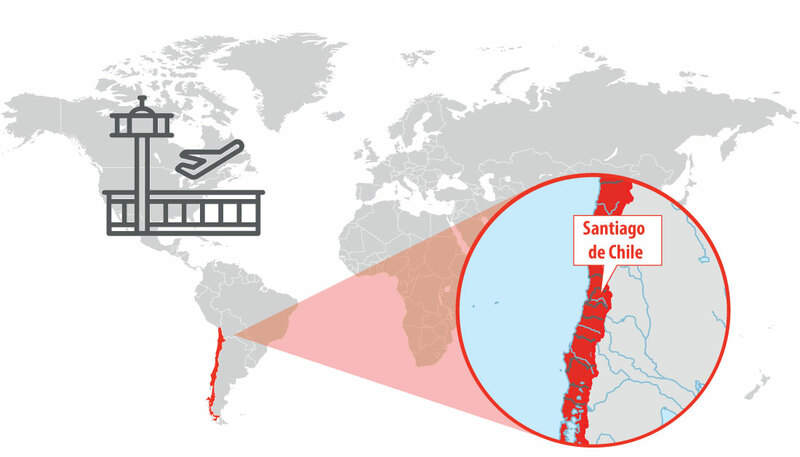 Ikusi is a technology company specialised in applications to provide greater intelligence and efficiency in infrastructure security, road and rail mobility, airports and cities; with Libelium Waspmote Sensor Platform, the Spanish company has developed a wireless sensor network to ensure quality in management and operation under the concession model in Santiago de Chile airport. 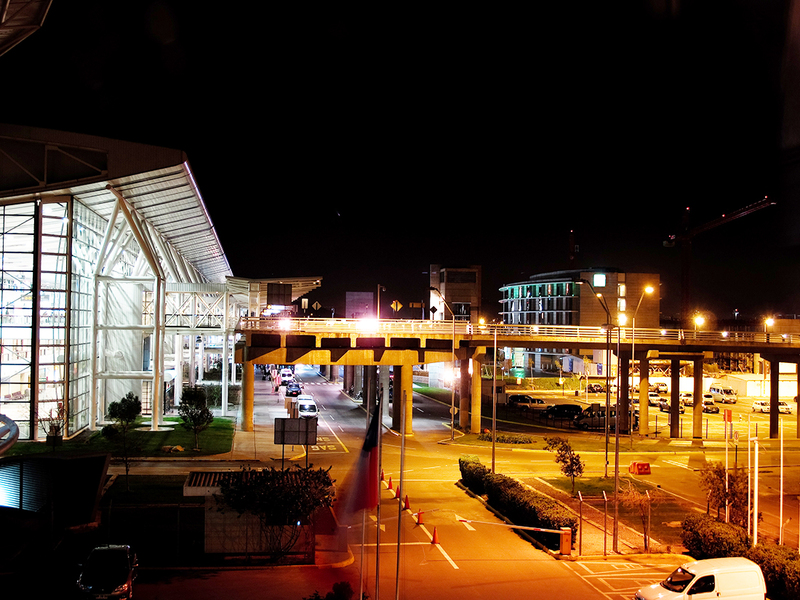 Smart Airports are a mix between Smart Cities and Smart Buildings. For this reason, possibilities to deploy IoT solutions in the terminals are endless: controlling quality of shipment conditions, parking and traffic monitoring, passengers and luggage tracking, controlling environmental conditions (temperature, air, humidity, noise or light) indoor and outdoor, developing applications for users or monitoring structural health. For this project, Ikusi has chosen Libelium Waspmote Plug & Sense! Sensor Platform. Alfonso Sardón, product manager of the company, affirms that the devices feature “a great technological quality and the best adequacy of data that we need to measure. We can get information each five minutes from each node”. 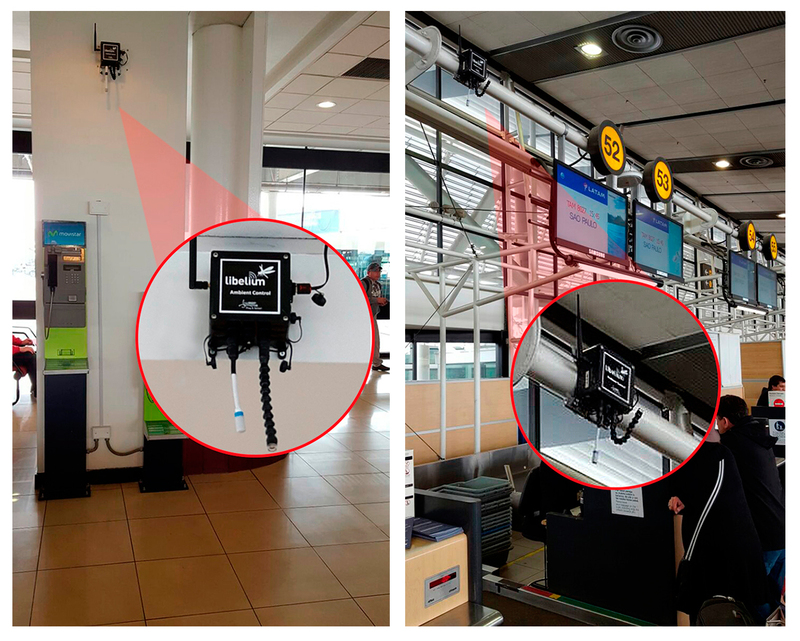 The sensor platform, that have been developed in 20 different areas of the terminal, has been Waspmote Plug & Sense! Ambient Control to measure humidity, temperature and luminosity. Due to this deployment, airport managers can know in real-time if the environmental conditions of the whole terminal are the most suitable or not. Waspmote Plug & Sense! Sensor Platforms communicate with Meshlium Gateway through 802.15.4 protocol while data is sent to the Cloud via LAN communication. 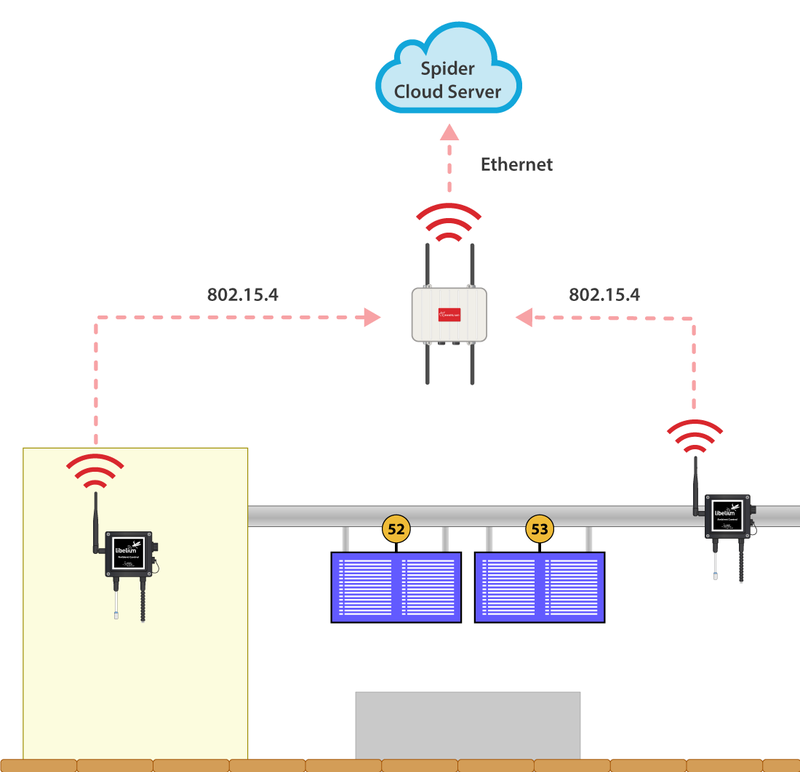 The information is visualized in the platform Spider which is an integration software tool to control and optimize processes in airports. “We have made available for the airport managers valuable information to guarantee the comfort level of the facilities and increase passengers satisfaction in their passing through the airport”, has argumented Alfonso Sardón. The project has been designed to ensure quality in the management and operation of airport infrastructures, where the relationship between the public owner and the private company is supported by a concession business model. The public owner needs to establish monitoring and audit measures allowing it to make sure that the concessionaire company is carrying out its activity in accordance with the quality parameters agreed. Through the integration of existing data and systems, Spider platform monitors key performance indicators (KPIs) and compares them with the quality standards specified in the concession contract, such as waiting times, temperatures, baggage arrival times, terminal occupancy, environment conditions,etc. The return of the investment (ROI) comes from two ways. The first one is not to consume more energy than needed to maintain luminosity, humidity and temperature within quality levels established by the airport operator. The second one is through passengers spending more time in the shopping areas. If the passengers are comfortable and relaxed, there are more probability that they spend more money. A recent study published by Technavio, states that the global smart airports market will reach $13 billion by 2019 with an annual growth rate of 6%. UK with Heathrow airport is a perfect example of applying the latest technology to improve any kind of process. It represents the idea of aerotropolis that integrates airports’ features with metropolis functionalities.